Doctors make the worst patients. Doctor turned film director/screenwriter Thomas Lilti must agree with this statement as his latest feature film Irreplaceable (Medecin de champagne) (2016), which got its UK Premiere at the 2016's Edinburgh International Film Festival, deals with just that subject. Jean-Pierre Werner is a very poplar middle-aged doctor who has dedicated his working life to looking after the health of the local populous. When he is diagnosed with a life threatening illness the Health Authority sends an ex nurse who had recently qualified as a doctor to assist Jean-Pierre who believes that without him everyone in the village will die - in fact he thinks he is irreplaceable. At first this highly experienced local practitioner has little time for the inexperienced Nathalie Delezia but realises that if he does die someone will have be trained to take his place! This is an exceptionally good French movie, full of great characters all perfectly formed and cast. The movie underlines the serious problem of the shortage of doctors and those embedded in their local rural practices having to work 24/7, generally without any support, even so the movie is still an amusing and enjoyable watch. 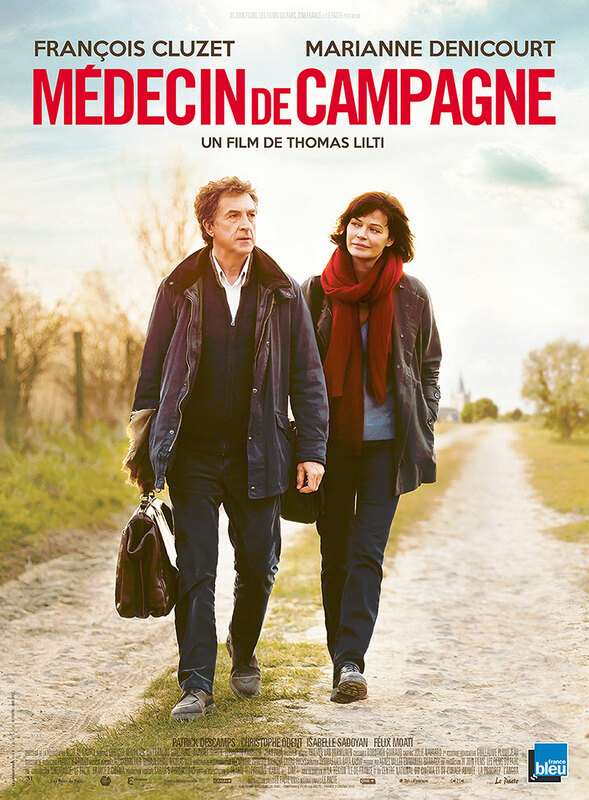 The two stars of the film are the French actor with the great smile Francois Cluzet who plays Werner with the lovely Marianne Denicourt as his long-suffering assistant both of which give great performances gradually building an on screen relationship that is totally believable. Award winning film and theatre actor Cluzet is probable best known for his roles in Tell No One (2006), Little White Lies (2010) and The Intouchables in 2011.